The IPL 2018 points table has four teams on 12 points and one team on 14 points, with possibility of all five qualifyfing for playoffs. The Indian Premier League (IPL) 2018 has seen the conclusion of 51 matches so far. Majority of matches of this edition of IPL has kept the audiences on the edge of their seats, whether they were high scoring thrillers or teams defending a low total. After 51 matches of IPL 2018, only two teams – Sunrisers Hyderabad and Chennai Super Kings have made it into the final four playoffs. SRH is placed at the top spot with 18 points and CSK are no.2 placed team with 16 points and have dominated the league stage of the tournament. Delhi Daredevils on the other end of the spectrum have crashed out of the race for playoffs with just 6 points from 13 games. However, there are 5 teams vying for the two remaining spots in the playoffs. KKR, MI, RCB, KXIP, and RR are fighting to stay in the contentions of a final four finish. Out of these five teams, three teams- KKR, MI, and RCB are in serious contention to make it into the playoffs with their superior net run rates. With one game each to play and all teams on equal points, only a win, or big wins in some cases will only ensure which teams go into the top four and qualify for the playoffs of the IPL 2018. Kolkata Knight Riders had a very good season. With 14 points in 13 games and 7 wins and an NRR of -0.091, KKR is sitting pretty at no.3 spot. They have shown belief and won 4 out of first 6 matches. Since then it has been mix bag for the Dinesh Karthik led team. However, the 102 runs loss at home at the hands of Mumbai Indians proved to be a huge blot on their Net Run Rate, which has remained in negative since then. Karthik has led from the front with 412 runs with an average of 51.50. They have received tremendous support from their openers Lynn (374 runs) and Narine (308 runs) and valuable contributions from Nitish Rana. Their bowling has also been very good with spinners Sunil Narine (15 wickets), Kuldeep Yadav and Piyush Chawla (13 wickets each) leading from the front. With one match against table toppers SRH in Hyderabad, KKR needs to win this game in order to ensure their qualification into playoffs. KKR needs just a win to make it into playoffs and they will face SRH in their final match. A loss here will hamper them only if RCB and MI win their last matches with big margins. Mumbai Indians had a repeat of their previous IPL seasons as they started off with 5 losses in first 6 games. They have managed to claw their way back in the tournament and are now placed no.4 in the points table. They have one thing going for them and it is their net run rate, which is in positive. Suryakumar Yadav (500 runs) and Jasprit Bumrah (21 wickets) have been the main heroes of Mumbai Indians making it into the contention of playoffs. Their biggest win of the season came against KKR when they defeated them by 102 runs in Kolkata and that is something that might take them into the playoffs. Mumbai Indians will make it into the playoffs as they will play Delhi Daredevils in their last match in Delhi and will have nothing lose, going after the win. Their positive net run rate will also help them keep KKR out if it comes to that. Royal Challengers Bangalore seemed done and dusted some time ago in the tournament. They started by losing some tightly fought matches and were hampered by the form of their bowlers and even batsmen. However, as the tournament nears the end of its league stage, RCB have bounced back with 6 wins and 12 points with an NRR of 0.264. Batsmen like AB de Villiers, Virat Kohli, Mandeep Singh etc have come to fore and addition of Moeen Ali and Tim Southee to their lineup have given them the confidence to take on any team possible. 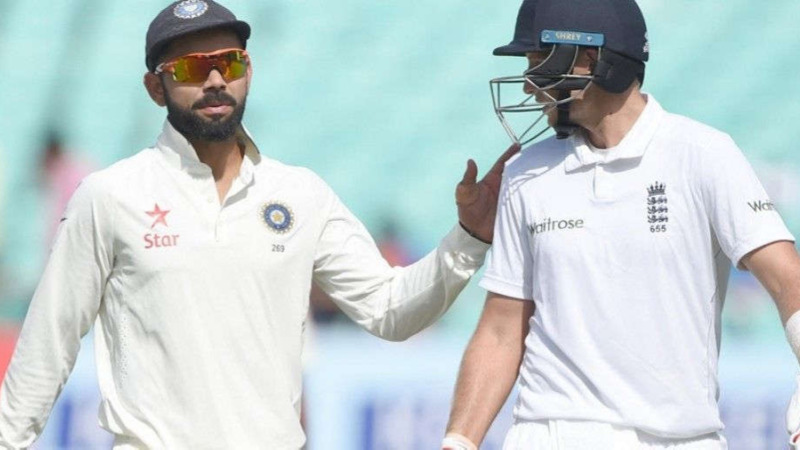 Kohli with 526 runs and Umesh Yadav with 17 wickets have starred for the Bangalore franchise. 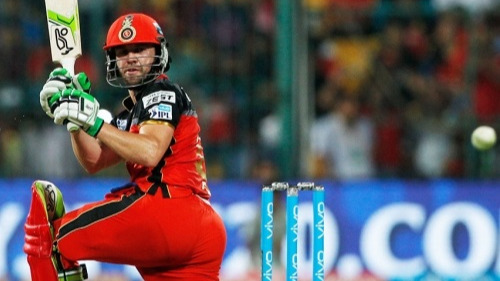 Royal Challengers Bangalore play Rajasthan Royals in their final match. This should be an easy win for RCB, as RR will miss their two best performers in the team in Jos Buttler and Ben Stokes. With a positive NRR, RCB needs to win big to make it into playoffs and hope that KKR loses to SRH in their final game. Kings XI Punjab started their IPL 2018 season on a positive note winning most of their early matches. But four straight losses in their last 4 games have effectively put them out of the race of playoffs despite having the same points as other hopeful teams. The major problem for KXIP is their awful NRR of -0.490. The team’s over-dependence on players like KL Rahul (652 runs) and Chris Gayle (368 runs) to score heavily worked in their favor initially as they won three straight matches. Chris Gayle scoring two fifties and a century; while KL Rahul scored the fastest fifty in IPL history in 14 balls, keeping KXIP in the race for a playoffs finish. However, Gayle has failed in some matches, and despite KL Rahul scoring two brilliant 90s, KXIP bowling and self-belief has gone down like their NRR, which may keep them out of the playoffs. Kings XI Punjab might not make it into the finals thanks to their poor NRR. They play one of the most dominant teams in CSK in their last match and apart from a very big win from KXIP, anything less will ensure KXIP’s elimination from the playoffs race in IPL 2018. Rajasthan Royals started off nicely in the IPL 2018 despite losing Steve Smith due to the ban on him and Ajinkya Rahane leading them from the front. They suffered from their foreign players not performing to their potential. Also problems with team combinations and openers not performing kept them from coming to the fore. However, once Buttler started opening for them and Rahane went to the no.3 spot, things kind of sorted out for them, as Buttler rattled out 5 straight fifties for them and almost took them to the playoffs. However, they failed to win their last match against KKR and now are on the edge of being eliminated from the race of playoffs. With their two best foreign players going back for international duties, their chances of playoff qualification look slim. RR will face RCB in their final game at Jaipur. But with their pitiful NRR of -0.403 and the fact that both Jos Buttler and Ben Stokes have gone back to England for international duty and D’Arcy Short and Ajinkya Rahane misfiring, RR’s hopes only lie on a very big win over RCB, who have found their mojo and are looking good to finish in top four. COC picks Royal Challengers Bangalore and Mumbai Indians to make it into the playoffs with Chennai Super Kings and Sunrisers Hyderabad. Both teams are on a high when it comes to their form and players' performances. They have higher net runrates and their oppositions in their last league games are down on confidence and fate is in favor of these two teams.